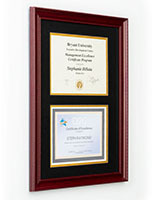 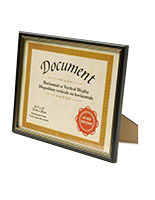 Showcase your accomplishments with pride using these diplomas displays! 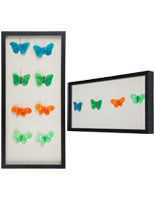 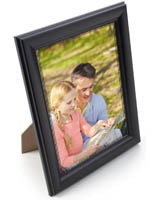 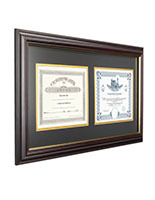 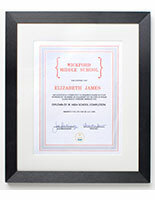 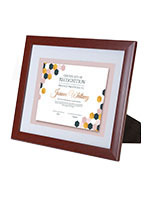 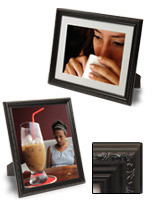 Whether it’s your own graduate degree, your daughter’s state university degree, or your son’s high school diploma, these frames are just the right size for holding all your important educational certificates. 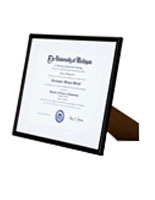 Why leave your degree hidden away when you can use a diploma display to hang it in your office? 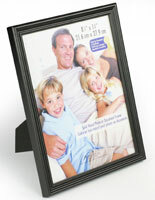 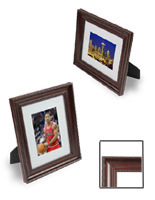 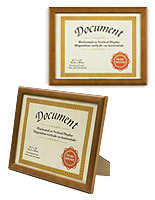 With multiple sizes and styles available of very professional looking frames, you’ll be sure to find the right product to hold your accomplishments! 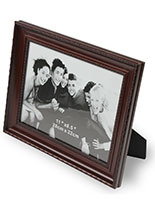 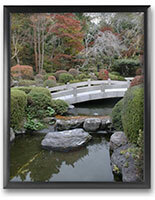 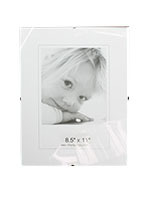 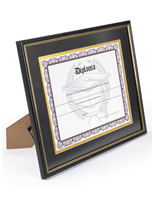 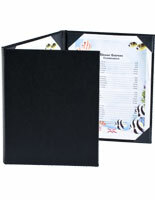 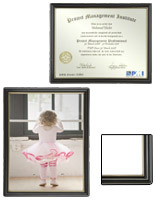 Many of these diploma display frames are attractively matted and have a standard 8.5” x 11’ opening. 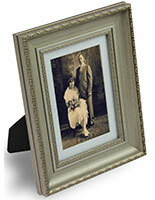 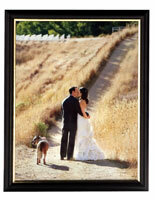 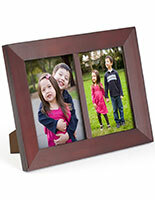 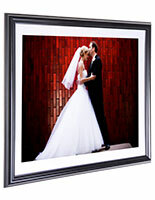 Wood finished frames come in distinguished colors like oak or mahogany and some even feature gold trim highlights! 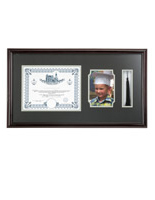 Some popular models include openings for a photograph and a special compartment for hanging a graduation cap tassel! 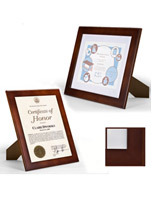 Use easel backers to place your diploma display on your mantle, a bookcase, or desk - or just included mounting hooks to hang on a wall with ease! 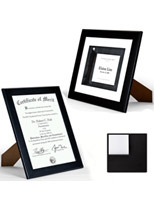 Whether you are the parent of recent alumni or just want to finally display your college degree, you’re sure to find the best frames for this purpose in both quality and price on this page!